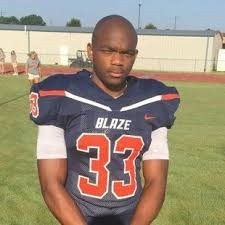 Master Teague III received a scholarship offer for Ohio State. He received it on Friday and he released a video in regards to his decision to attend Ohio State. Teague said being recruited was a blessing, but sometimes blessings can be challenging. In the video, he is shown with shirts from Tennessee, Auburn, Georgia and Ohio State. At the end of the video, he is shown wearing an Ohio State University shirt. The 5-foot-11 running back received an offer from OSU after performing an impressive workout at a one-day camp. The performance is also why his sports composite rating is expected to rise. At the workout, he achieved impressive numbers in the standing vertical leap and the 40-yard dash. He also did a standing broad jump. Teague returned to Murfreesboro just in time to take the ACT pre-enrollment test. He also told The Dispatch that he would no longer attend summer camps. His mind is now made up and OSU is where he will be going. The football player continued to say that he liked coach Urban Meyer, as well as Kevin Wilson, who is the offensive coordinator. He added that he also liked Mickey Marotti, the football performance director. Teague mentioned how he feels that he will be able to win a national championship. He topped off his interview by saying he is a motivated person, but the coaches at OSU has given him even more motivation.